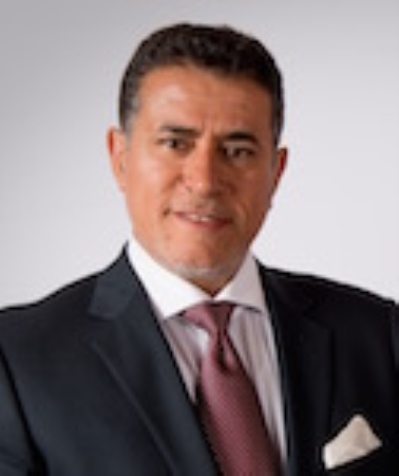 From his hometown Casablanca to 5th Avenue New York City to his office in downtown McLean, Virginia...Fouad Talout has a lifetime of experience in understanding people, developing effective sales strategies, and mastering negotiating skills. "Fouad, Thank you for helping us through a long process in ultimately finding our dream house in Vienna. You are honest, professional, non-intrusive, and were always available to speak with us 24/7. Your star shined in the negotiation phase, and we were confident you had our best interests at heart at all times. In sum, we could not have been more pleased, and we would highly recommend you to all. Any realtor can show a home. You got us the right home, at the right time, and at the right price. All the best to you and your family. " "Fouad exceeded all of our expectations. Working with us a full six months before we returned to the area, Fouad was the only realtor with whom we spoke that had the patience and customer loyalty to regularly send us new listings, update us on market conditions and provide sound advice about our pending purchase. Upon our arrival, Fouad was relentless in pursuit of the home of our dreams. From showing us listings to the all important art of negotiation with the sellers and their agent, we quickly learned to trust Fouad's honesty, professionalism and caring for his clients. We appreciated his services so much, it made him an easy referral to our friends who were also looking for a new house. Not surprisingly, Fouad exceeded their expectations as well. " "Dear Fouad, Thanks to your and your team for all the long hours and other inconveniences you had to endure during the sale of my home and the purchase of my new home. Your hard work has not gone unnoticed. It was truly a pleasure working with such a dedicated team of individuals. I'm sure there were several things that went on behind the scenes that I was not even aware of to make the deals go through. And through it all, your team was always patient and friendly with me while educating me on materials that I was unfamiliar with. We still talk about your team and how easy they made the transition for us. Holly is a work-a-holic! ... she doesn't miss a beat. Alex is just an absolute joy to be around. He was always punctual and willing to change the line up of houses to view. The beautiful Pascale, always dressed so well and professional. She would call to keep me informed of what was going on so that I wouldn't worry. She would explain to me why things were being done a certain way. She always put me at ease. And last but not least...Fouad. You always had the right answer for everything. You led me in the right direction with your many years of experience. As time went on, I came to regard you as a very knowledgeable and skilled individual. I will always regard you as "The Wise and Noble Fouad.""